Hello Pages Peeps! This is Michelle here today. 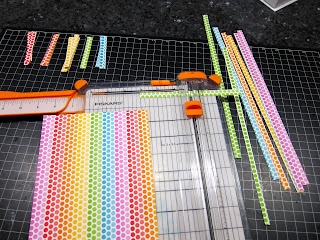 If you went to the National Scrapbook Day crop this past weekend, it was such a fun time to scrap and catch up with other peeps. If you missed it, the next crop will on May 25th from10AM - 7PM for Peeps Day. I hope to see some of you there! I recently worked with Doodlebug's Take Note collection, which is full of bright rainbow colors and office themed images. 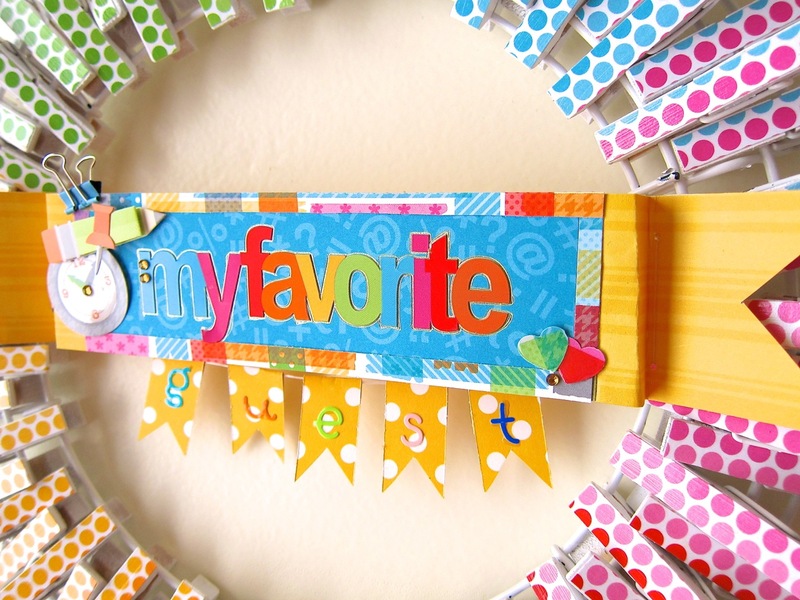 It is a very versatile collection which can be used for any type of photos. It is perfect for school photos or any happy occasion. 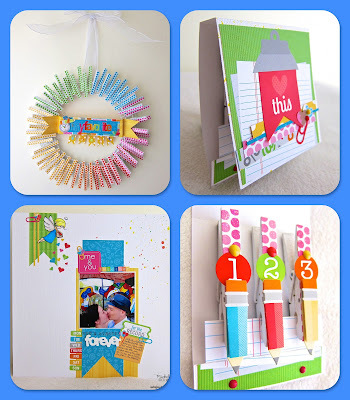 I made three projects with Take Note - a clothespin wreath, a matchbook with refrigerator magnets and a layout. I saw some wreaths on Pinterest and wanted to make my own. The rainbow colors in the collection inspired me to make a rainbow wreath. 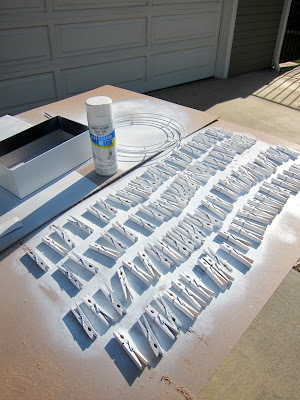 I bought a wire wreath form from a craft store and clothespins from Walmart. I spray painted them white. 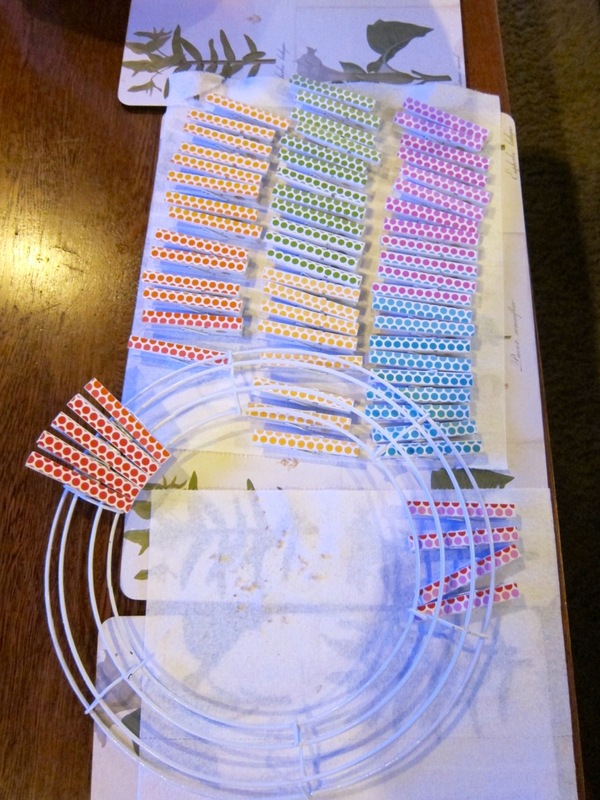 I cut strips of paper to the size of the clothespins. I adhered them to the top of the clothespins with Mod Podge. I clipped the pins onto the wreath form in a ROYGBIV pattern. I decorated the middle with a banner that reads, "My Favorite Guest" as I will be hanging this on my guest bedroom door. 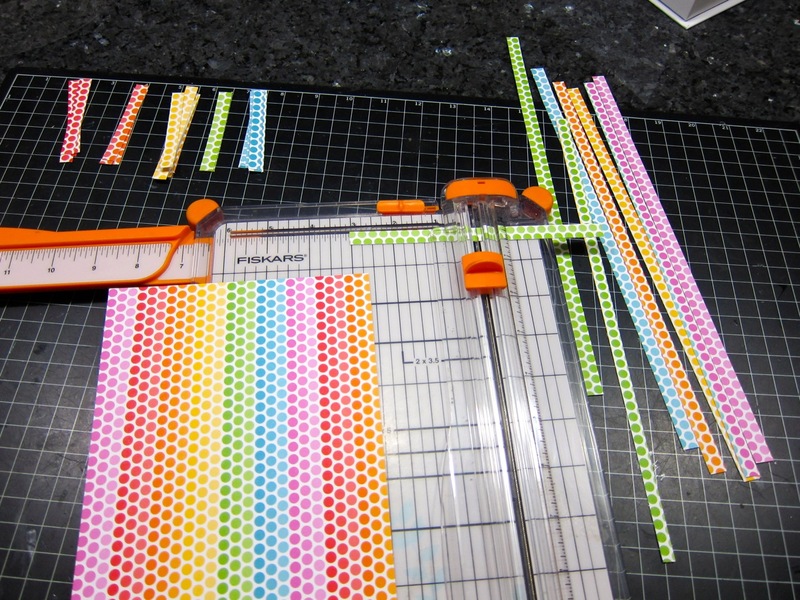 This isn't a difficult project, but it is time consuming, but the end result is worth it. I had some clothespins leftover after my wreath and thought they would make cute refrigerator magnets. 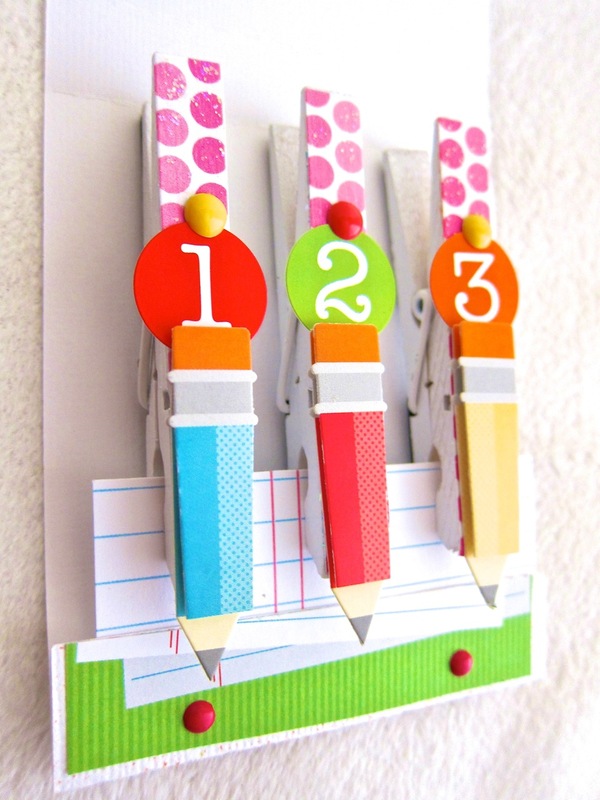 I added a Pencil Doodle-Pop (cardstock sticker) to the top of the clothespin and a piece of adhesive magnetic tape to the back of the clothespin. This will stick to the refrigerator and can hold papers and children's artwork. 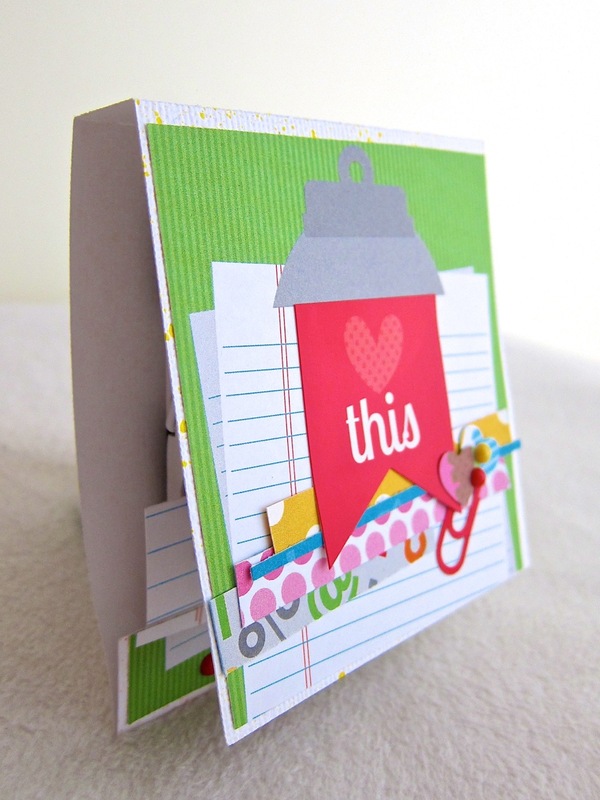 I also thought it would look cute in a matchbook. I used a matchbook cut file from Silhouette to get the shape on white cardstock. I then decorated the cover. 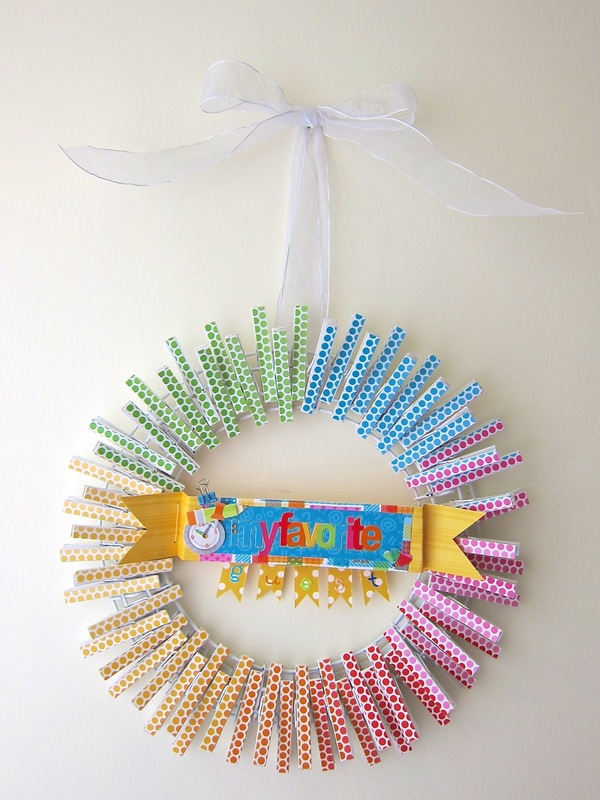 This would make a great gift or party favor and is much faster to make than the wreath. When I saw this collection, the colors reminded me a heart sculpture that I saw in New Orleans. I added a digital stamp of an angel which I colored in with Copics. To incorporate it into the layout, I added some punched hearts so it would look like the angel was scattering hearts onto the photo. 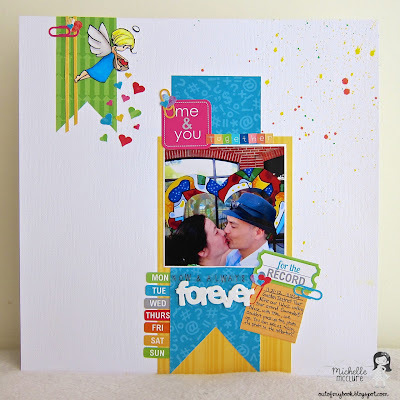 For more information on this layout, please see this post on my blog. 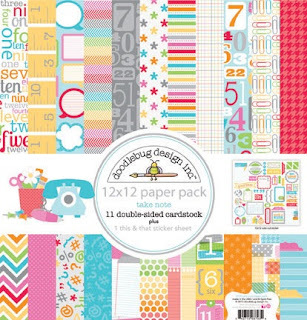 This was such a bright and fun collection to work with and was so easy to use on any project. Stop by Pages to see these projects in person, or to purchase this collection. 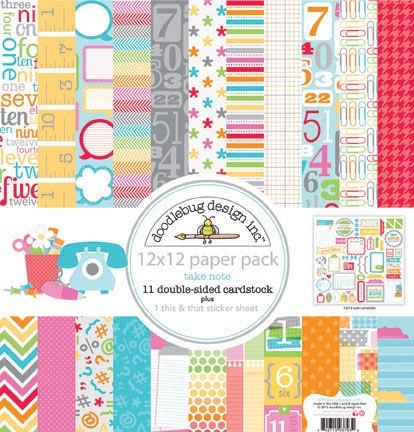 There are so many new collections in stock at Pages right now.